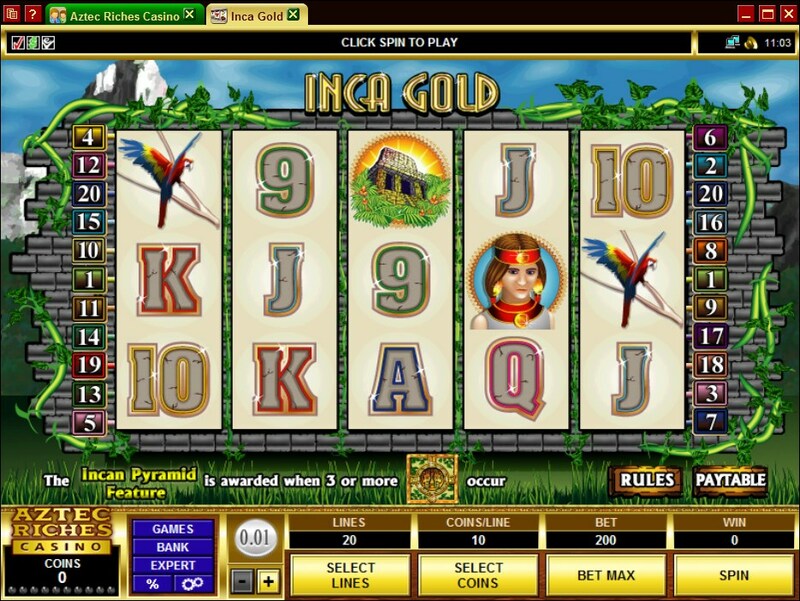 Inca Gold doesn’t have one of the most innovative themes out there, but at least it has the Microgaming know how behind it. Its interesting features make up for the common theme that was picked for it, which is based on the long lost civilization of the Inca people, and on the supposed treasures that were left behind by them. It’s one of a dozen or more such games that are already on the market, and it does some things quite well, but others are the same as the ones from the competition. 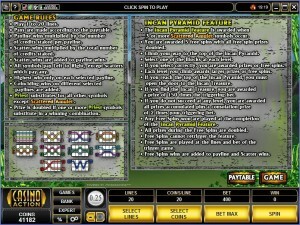 Inca Gold promises its players payouts of up to $50,000, and in order to get that kind of money they need to wager on up to 20 lines. The game has 5 reels, wild symbols, scatters, multipliers and a feature that gives you a chance to win free spins. 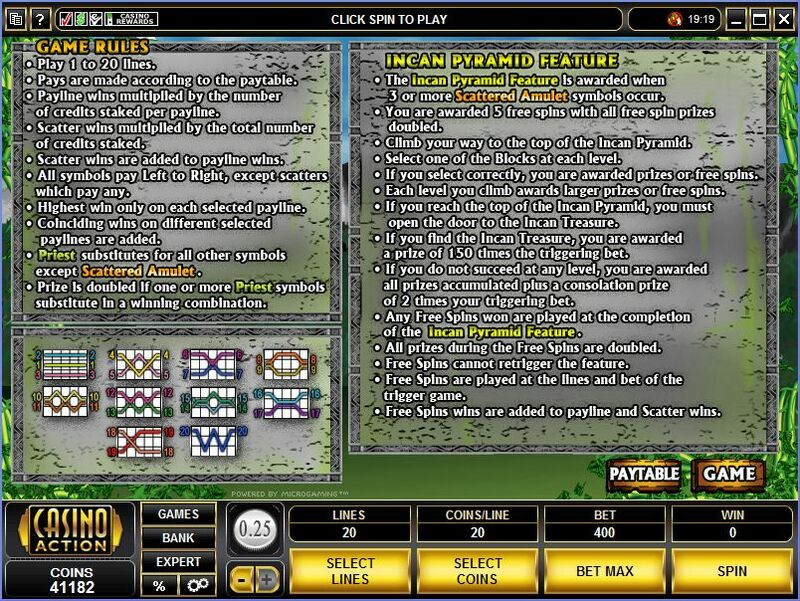 The first two features, the wild and the scatter, are pretty typical for a modern game, but the surprise comes from the Incan Pyramid bonus game, which brings with it free spins, multipliers, and a chance to get even more. The Priest is the symbol with the wild ability, and as it often happens it will also be the one to give away the jackpot of 10,000x. You need the wild to create its own combinations in order for that kind of money to be awarded to you, but even if it doesn’t, it should still be useful as a substitute for other symbols. The prizes which are awarded as a result of the wild’s substitution ability will be worth twice as much as the paytable mentions. 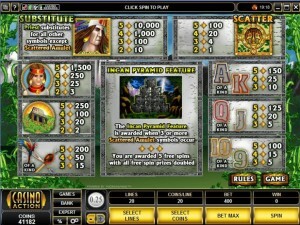 The Amulet scatter symbol is the second feature you can see on the reels of Inca Gold. The symbol is allowed to appear in any random location, and as long as you have enough of them present you will get their prize. The multiplier they offer is between 1x and 100x, and it is used with the total bet value, not the line bet. The bonus game of Inca Gold gets started with the help of the Amulet scatter symbols, when at least three of them are on the reels of the game, even if they’re not occupying the same payline. To start with, you get 5 spins for free, plus 2x multipliers to double all wins obtained during this feature. 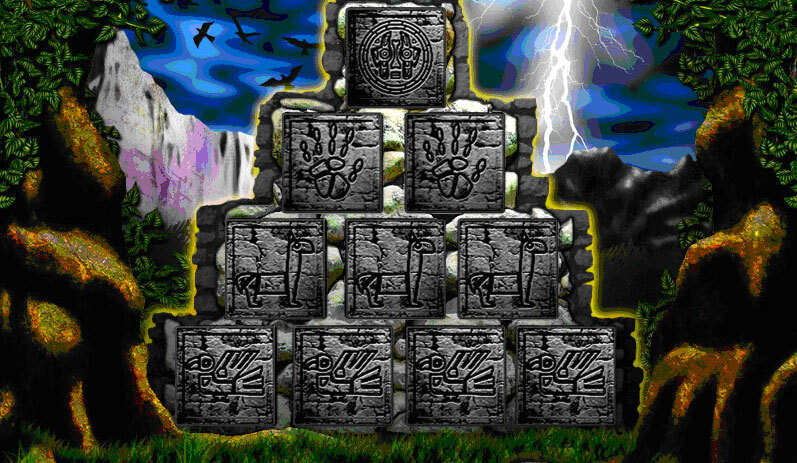 As you play the bonus game, you advance towards the Incan Pyramid’s top, and you can pick blocks at each level that you go through. The right blocks, when chosen, will give you additional free spins or cash prizes. With each new level that you climb to, the prizes and the number of spins keep getting more generous. Reaching the top of the pyramid will present you with a door, which you open in order to get the Incan Treasure, which is worth 150x the bet. If you fail right at the beginning, and you can’t climb the pyramid, you get a 2x the bet consolation prize. Once the bonus feature ends, the free spins begin, using the 5 that you got initially, plus any extra spins you might’ve won along the way. Retriggering the free spins is not possible. The game’s betting system uses 1 to 400 coins, selecting up to 20 of them for each payline that is activated. You can work on the coin’s denomination for another way to change the bet value, using values ranging from $0.01 to $0.25. You have bets of up to $5 per line, or $100 total. The 10,000x multiplier that is considered the top jackpot in this game is awarded with the wild Priest’s help. A combo of five will give you those 200,000 coins, with their maximum value of $50,000. The design is typical for a South American civilization themed slot machine. It has a beautiful view with green pastures and snow capped mountains, it has a stone made wall supporting the reels, and on them there are both playing cards and Inca themed symbols. It’s a decent looking title, but it doesn’t stand out since so many other Inca themed games are available these days. Symbols: Priest (10,000x, wild), Amulet (scatter, 100x bet), Inca Princess (1,500x), Temple (250x), Parrot (200x), Staff (200x), Ace (150x), King (150x), Queen (125x), Jack (125x), 10 (100x) and 9 (100x). The features and the top payouts will give you a decent reason to try it out, and even the design is pleasant enough not to interfere, though it’s average looking in most ways. 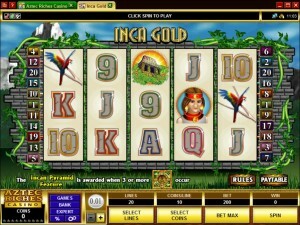 Inca Gold can be found at any Microgaming casino, where you get a chance to play it for real money or in free mode.